How I put my jealousy to good use. It was about this time last year after being sick and feeling run down that I decided I was going to try and get healthy and exercise more, so off I went to the gym and started to run on the treadmill. Why did I pick running as my exercise of choice when I had a whole gym worth of equipment at my disposal? Well to be honest, I was jealous of all the runDisney race posts and pictures on Facebook, Twitter, etc. from all my friends after they had run various and multiple races at Walt Disney World and Disneyland last January. They were all having so much fun and I was wishing I was right there with them. I wanted to run through the parks and get my picture taken with the characters too. Reading all these posts, I came across a number that talked about the Galloway method of training so I looked it up. Now this was a training program that I thought I could do. Never having run before the prospect to getting on a treadmill and running for a half hour or more straight intimidated me and I felt set me up for failure, but a program that mixed running with walking I could manage. After a few weeks of running I was actually starting to enjoy it and felt impressed with my progress. I could do this; I could be a runner, so why not sign up for a race, which is exactly what I did. My first race was in April. Living in Canada I know spring races can be cold but I was not expecting -2°C with biting winds in which to run my first 10 km race. I was the third last racer on the course but I finished in an hour and 10 minutes which for me was a win. I figure most of the more casual/recreational runners were smart and stayed home instead of racing in those temps. With a 10 km race under my belt I decided I could tackle a 10 mile race in October. This gave me 5 months to train but more importantly (to me anyway) it gave me an excuse to go to back to Walt Disney World. I went home and immediately registered for my first runDisney event, the Tower of Terror 10 miler. Once registered it was just the motivation I needed to keep running and not give up and go back to my sedentary ways. Training for a 10 mile race was about as difficult as I imagined it was going to be and finding time for my long runs did create a challenge some weeks but I did it. I’ll post later about my Tower of Terror 10 mile race experience. Running is now a part of my life although at the moment I haven’t run in a while due to a MCL injury sustained playing roller derby but I truly miss it and that is something a year ago I never would have imagined I would ever say. Running has been a great experience for me, or more accurately a great many experiences. 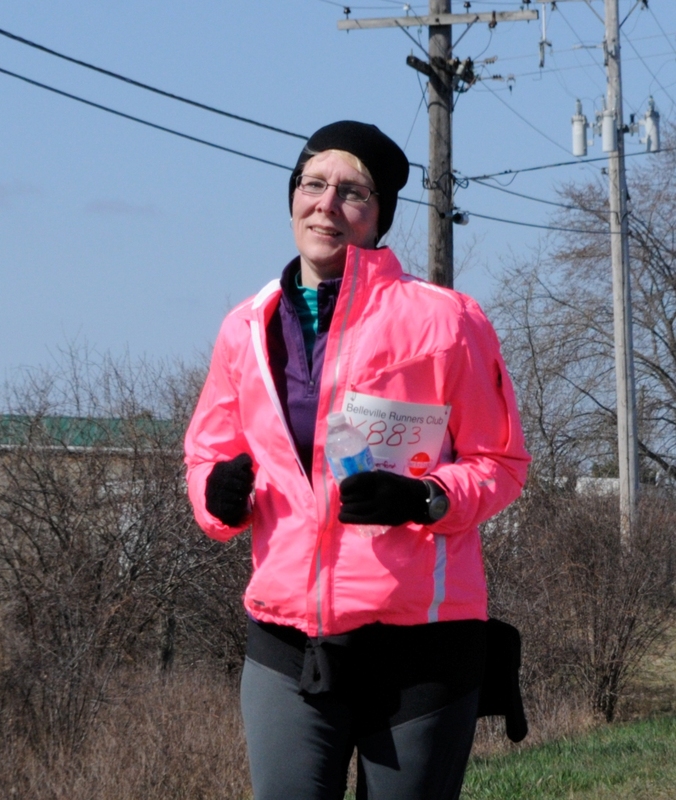 I’ve run a number of races now and learned a lot about myself along the way. I am so thankful for what running has brought me: strength, stamina, friends and memories, all of which I would not have obtained without it. « My mid life crisis? LOL, I have to laugh Lisa because I too am jealous of all of those pics of runners in an empty park with characters you almost never see in the parks. But it is those medals that I covet the most! They are so beautiful and unique! They tell a tale all on their own. I think it is great that you started running, whatever the motivation was. I recall when you ran that first race, how cold it was, but you stuck with it! Congrats on your success!! Not sure how I forgot about the medals when I was writing this post but they are awesome. Disney has the best race bling I’ve ever seen. I’m laughing as well because i too am jealous of the fun the runDisney folks are having. They have inspired me to run on my treadmill a little more which was a big improvement. Congratulations on your sticking with it!! Enjoy, you so deserve it!